Pace is a Responsive Joomla Template, simple, clean and Professional theme. It comes with 10+ Unique layouts, Many more inner Pages, Awesome Slideshows . Easy-to-customize with Sp Page builder Pro and templates's layer builder and fully featured design. 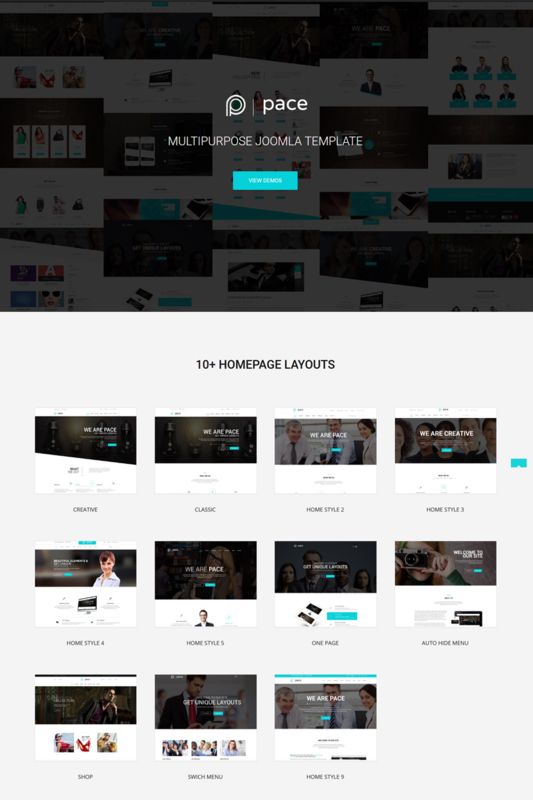 This theme suitable for Corporate, Business, Portfolio, Classic, Creative, Blog, Business and One Page. Create Outstanding Website in Minutes with our Quick Install! We provide for free SP Page builder PRO and Layer Slider PRO! Both are over 58 Euro and you can have them for free!